If you're looking for an exquisite one of a kind piece then stop right here. 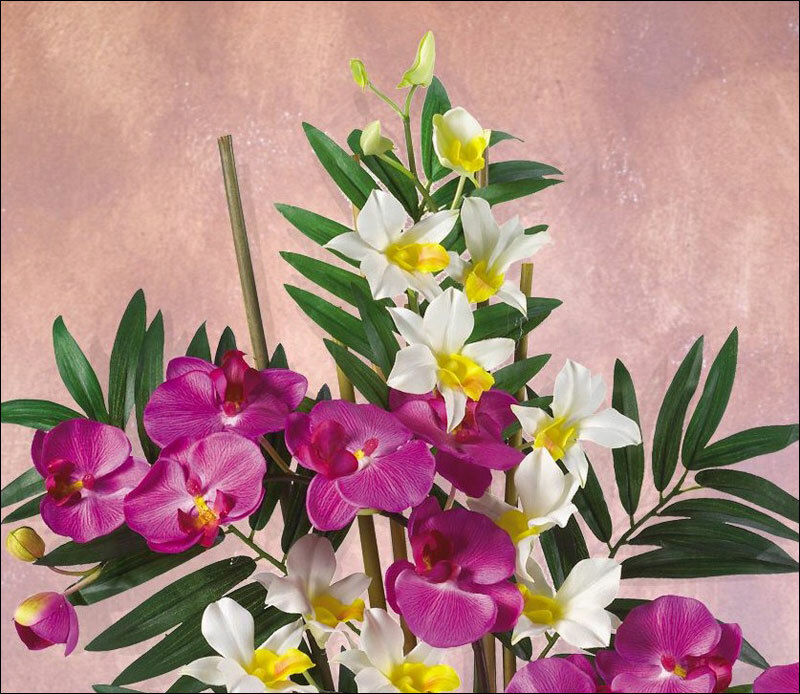 This silk orchid arrangement is an exciting mixture of two classic phalaenopsis orchid stems that intertwine with two dendrobium stems. 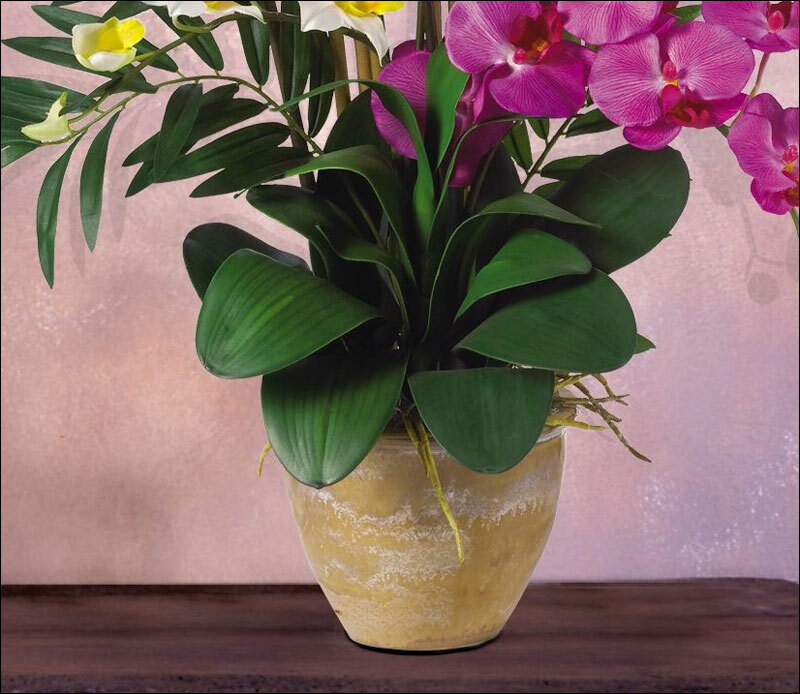 You'll also notice shoots of bamboo and gorgeous green leaves that help to complete the warm tropical feel of this unbelievable piece. 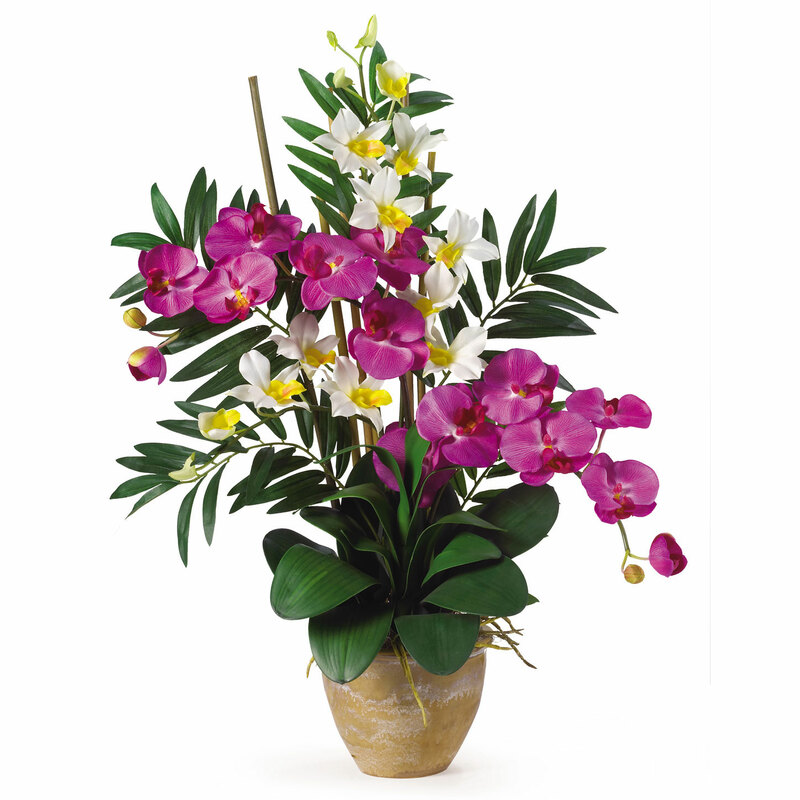 Standing 29" Tall and set in a timeless ceramic pot this silk orchid arrangement is sure to charm the masses. Pot - H: 7", W: 5.5"